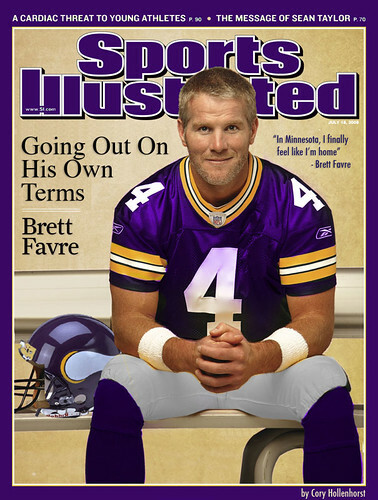 I haven’t given the latest Favre nonsense much thought, not real high on my priority list to be completely honest. To be sure, everyone has an opinion and I am no different: Fade away, man, fade away. Certainly didn’t take me longer than 5 minutes to reach that conclusion. However, it took me a full hour to find a parallel individual that has walked/is walking the similarly strange path that Favre is on. I didn’t actively do this, in fact, it was about as passive as it could be in the sense that I was in my living room while the TV was on VH1. Don’t judge me. Anyway, after Rock of Love: Floor of Motel 6 was on, VH1 Behind the Music came on. Too lazy to change the channel, I just left it on and went back to reading this. Gradually, I started being pulled away from the book to the train wreck that was developing on the TV. Behind the Music: Whitney Houston. As I began paying more attention, it became apparent that it is a strange version of deja vu. Laugh if you want, but the similarities between Whitney Houston and Brett Favre are numerous….and sad. Stop Smiling, You're Not Happy! There Shall Be No Truce!